This year I am feeling SO inspired by the fall runway shows. I don't watch Mad Men (yet! ), but I am feeling inspired by womanly shapes and feminine details. 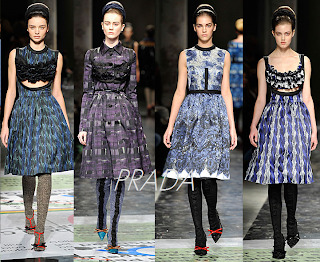 Louis Vuitton and Prada are both full of the details I am after. 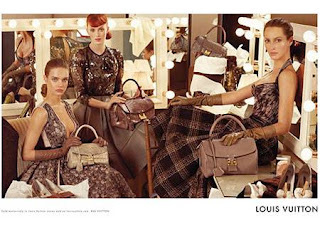 Check out their Fall 2010 ad campaigns featuring Karen Elson, Christy Turlington and Natalia Vodianova (images from luxuo.com which also has several other LV fall ads not posted here). I love the dress on Natalia in the photo below. Heaven. 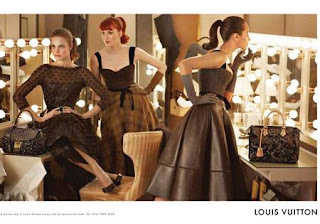 Louis Vuitton also has some great shoes in the Fall 2010 collection. Lots of bows, some with stacked heels (my preference) and others with a kitten heel. 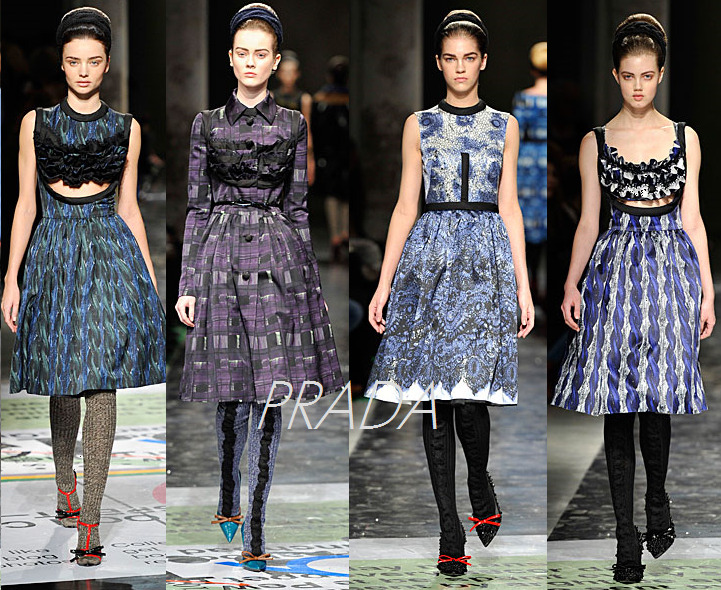 Here are some of my favorite looks from the Fall 2010 Prada show (images from Cool e Chic Style Fashion - a very cool Italian style blog by the way). I particularly love the dress on the right and the shoes on the left. I am not sure yet how I will try and incorporate these moody and romantic shapes and textures into my current wardrobe of jeans and white cotton t-shirts from J. Crew. These items of clothing are clearly outside my budget, probably by several orders of magnitude. What do you think? Am I off in left field or were these fall collections particularly amazing?